If you put down money for a property in Agua Clara, Torrox, deposit reclaim is a very achievable aim. Following a landmark Spanish legal ruling in December 2015, Spanish property deposit reclaim is now a viable option. We have a number of clients on this development who have made successful claims against the banks into which their money was lodged under Ley 57/68 in Spain. If you don’t know about the process involved please read on. If you wish to learn more about Ley 57/68 please click on this link. 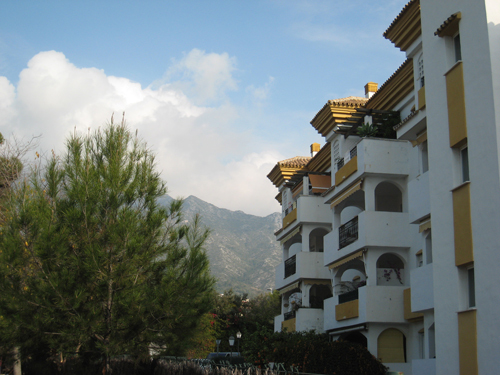 In a Spanish legal ruling on Spanish property deposit reclaim, which was passed on December 21, 2015, the Spanish Supreme Court has held that Financial Institutions such as banks and cajas (Spanish Building societies) are liable, along with builders and property developers, to make sure that refunds of amounts paid by property buyers are refunded where properties were not delivered on a timely basis or, in many cases, not built at all. The ruling obviously has huge consequences for those who purchased property in Spain that was never built or that was badly delayed. It means that these buyers are due a full refund from the bank or caja to which they deposited their money, even though the developer may have gone into bankruptcy. The basis for the ruling is that, by Spanish law builders and property developers receiving funds for property were required to put these funds in a specific bank account and were also obligated to provide their clients with a bank guarantee. The bank was obliged to ensure that such an account existed and would be liable for the return of these deposits in any case where a developer failed to deliver the property. Make sure to clear the applicable email address in your Spam Filter. These automated email addresses work 24/7 so you can get started right away. This will send you a questionnaire and request necessary documents to assess your case. This obligation was almost completely flouted by Spanish developers and their banking partners, particularly in the run up to the economic crash in 2008. Following this many developers were declared bankrupt. Purchasers therefore presumed their deposits had gone with them. The unfinished constructions were virtually worthless and advances paid were almost universally spend by developers. This led to clients presuming they had lost all their money. Their likelihood of getting anything from the liquidation of a failed property development was so small as to make the claim unjustifiable. This Supreme Court ruling on Spanish property deposit reclaim deposit upholds the finding that financial institutions, in which the defaulting property developers deposited their customers money, are liable for the refund of the deposited funds. In the upholding of this ruling the court dismissed the financial institutions’ arguments against the claims, thus paving the way for claims by defrauded home buyers right across Spain. It is estimated that, once a claim has been successfully filed, it will take 15-36 months to achieve the return of funds, plus interest. It is important to deal with a company versed in completing the paperwork to make such claims as you can only apply once. If applying you must make sure they really have the best legal assistance with experienced and expert lawyers. Filling in the Spanish reclaim forms is complex and daunting even if you are fluent in Spanish. It is a task that should only be undertaken by a legal expert specialising in this area. Whoever fills out the forms need to be fully versed in Spanish legal claims, as there is no single form to fill in.